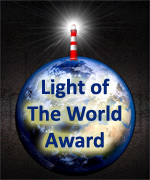 Whether you are a lighthouse aficionado like me, have read my previous devotions, or just have a general knowledge of lighthouses, you know that they were built to help guide vessels at sea and warn them against treacherous reefs or sandbanks. You probably also know that due to the advancements in maritime technology most lighthouses around the world are decommissioned and are either rotting away or have been restored for historical purposes. Very few are actually active and functioning as originally intended. Nevertheless, they have all stood as promising sentinels of the sea saving thousands of lives. Regardless of the LGBT’s appropriation of the rainbow symbol, its original meaning and purpose can be traced back to roughly 4,400¹ years ago when it first appeared on earth after the great flood. God created the rainbow as a sign, a promise if you will, to remind Noah and generations to come that He would never again destroy all life with water.² I cannot imagine the fear that would have crept into Noah’s heart everytime it rained thereafter if God had never made that promise and sealed it with the bow. Likewise, if we had never become aware of God’s promises (in His word) to us and our family our souls would be prisoners of uncertainty, dread, and angst. Each of God’s promises is a pledge (covenant) where God commits to doing something. Some of them are conditional while others are not. Yet none of them are frivolous or dependant on circumstances such as the ones we mortals often make. God’s promises are rock-solid, definitive, and totally dependable. HEART-SATISFACTION – God promises to satisfy you fully and forever in Jesus Christ. FORGIVENESS – God promises to forgive you through faith in Christ so you can experience his heart-satisfying presence now and forever. PERSEVERANCE – God promises to keep you strong in faith so you can experience his heart-satisfying presence forever. REWARD – because of Christ, God mercifully promises to reward your undeserving faith with even more heart-satisfaction in him now and forever. CIRCUMSTANCES — God promises to give you the perfect combination of blessings and trials so that as you trust him you will have the greatest heart-satisfaction in him. NEEDS – through prayer God promises to provide for every need in the perfect time and amount to give you the greatest joy in him now and forever. HEAVEN/ETERNITY — God promises to raise you from the dead so that forever you can join all the redeemed in the heart-satisfying joy of beholding God’s glory in Christ. From Genesis to Revelations, God’s promises have been, are being, and will continue to be experienced by those who truly believe and trust in Him. It’s a matter of familiarizing oneself with these promises by reading, studying, and applying His word to our lives. No matter in what condition your lighthouse may be at this moment, rest assured that you are living in the light of His promises. Prayer: Faithful Father of Light, thank you for your unconditional love, mercy, and grace. But most of all, thank you for your faithfulness. Without it, I would not make it through each day. It is your faithfulness that guarantees my protection, sustenance, and most importantly, my eternal destiny. In spite of my circumstances, I rest assured in that you are a God who keeps his promises. Amen! Loved this devotional. Thank God for His promises and His faithfulness. I love Anne Graham Lotz’s quote, “You are a great prayer-hearing, prayer-answering, covenant-keeping, miracle-working God.” Love you my dear! Thank you, Angela. I am more than blessed to know that God would use my inspirations to confirm yours. I can’t wait to read your “Promise” blog! And yes, it would be truly honorable if we were to be promise keepers like our God. Unfortunately, we are still mortals and therefore included among those who ought not to be trusted (Psalm 118:8 & Jeremiah 17:5). But thank God that we can ALWAYS trust Him! Blessings to you and your family. Keep shining the glorious light of our Savior! I love the imagery you paint here of the solid foundation of the lighthouse juxtaposed to the rainbow…. unmovable assurance that the foundation of God’s faithfulness will endure forever. Such an important reminder in today’s world that seems to be eroding under our feet more every day. thanks Joe. Thank you, Karen. A much-needed reminder indeed, especially when you see beleivers compromising with this world simply because their faith in God’s promises is more in the head than the heart. 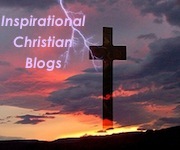 May the light your blog emits continue to shine the glorious truths of God’s kingdom. “No matter what condition we find ourselves…” because as BELIEVERS we are standing on a firm “foundation”–like the Lighthouse. The enemy may whisper in our ears that our ‘light’ has faded, gone out, inoperable! But the Holy Spirit becomes the Light Keeper and will rekindle the flame if we will only be willing to shine! Thanks, as always Joe, for your wisdom and shining your light to the world through your writing! Thank you, Mel. I couldn’t agree with you more in that the Holy Spirit is Light Keeper who keeps the fire of God burning in our hearts. In fact, in my devotion titled “Keeper of the Light,” I explain how the Holy Spirit is our lightkeeper and the only One qualified to perform preventative care (PM) in our soul. God bless you, brother. May your light keep brightly shining in and through everything you do! I agree with the previous comment Joe – a fantastic post. I don’t recall seeing that lighthouse in my seafaring days, although I would have passed by on the way in and out of the Mersey. Just checked on Google and it is about 100 miles from my home. Worth a visit sometime I think. I cannot understand allowing lighthouses to fall into disrepair. There will be times when everything else fails and only the light remains (another post in there somewhere). Back in 1974 I was a first trip cadet on a ship that lost both radars when passing through the Tsugaru Strait in Japan at night (between Hokkaido and Honshu) in a storm. No GPS in those days only Decca Navigator, direction finder, echo sounder, radar and the human eye. Paper charts, parallel rulers and dividers. It was a fraught time with the radio officer working hard to get at least one radar operational, but we made it through. Wow, David, what an amazing (and scary) experience you had on that ship! Reminds me of a devotion I wrote about the Edmund Fitzgerald titled, “When You’re Needed The Most.” If you do visit this lighthouse take some pictures and send them to me so I can post them on my “Photos Submitted by Friends Page” (you sent me a few already). God bless you, brother. Keep shining for Jesus! “Since the Lord redeemed us from the power of sin, since His Spirit sealed us other lives to win, grace enough is given that we may endure, and we prove the promises of God are sure. Chorus: All the promises of God are sure, through the ages shall their truth endure; Hallelujah! To the heart that’s pure all the gracious promises of God are sure. What the Lord ordaineth will be for the best, just to trust and follow him is perfect rest; neither will he fail us if our faith is pure, for we know that the promises of God are sure. (Chorus). Thank you for this encouraging post. May God bless you abundantly. Beautiful hymn, Tanya, thank you for sharing! It perfectly compliments my devotion. I will add a link to it. And many blessings sent your way dear sister! Keep shining the light of Jesus!